Some voters waited hours to vote with provisional ballots at Modoc Hall on the Sacramento State campus. 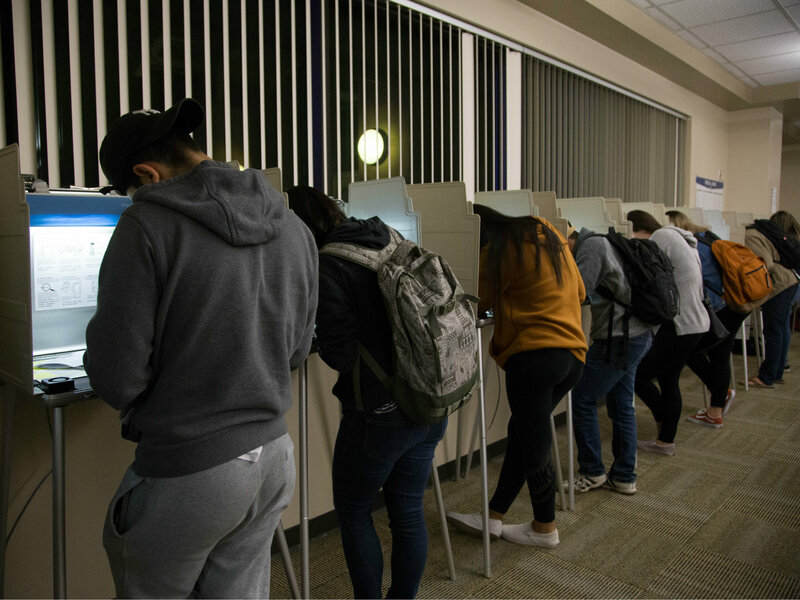 A higher percentage of eligible Californians are now registered to vote than at any time since the final weeks of the 1996 presidential campaign. New data released Monday by the Secretary of State’s office show a 79 percent voter registration rate. The previous high was just over 80 percent in October of 1996. The report also shows California had a record 19,978,449 registered voters as of Feb. 10. Since then, the Secretary of State’s office says registration has jumped above the 20 million mark. It's not surprising to see the raw number of registered California voters increase along with the state’s population. The registration rate, however, is more noteworthy because it shows the electorate is engaged at a level not seen in nearly a quarter-century. Comparing this report with the previous one last fall, two trends from recent years continue to show up: a sharp increase in voters identifying as “no party preference” and a drop in Republican registration. Both major political parties saw their shares of registered voters drop when compared to the previous report just before last fall’s midterms. The GOP lost voters both in raw numbers — a drop of more than 25,000 voters — and percentage, falling to 23.6 percent. Democrats, on the other hand, added nearly 55,000 new voters — but the party’s registration rate still dropped to 43.1 percent. Meanwhile, the number of Californians registered without party preference jumped by more than 225,000 — to 28.3 percent. Immigration and the Latino vote swayed the state away from GOP support toward the liberal Democratic Party agenda.